Nov - 25 | By: Oregon Film | no comments. 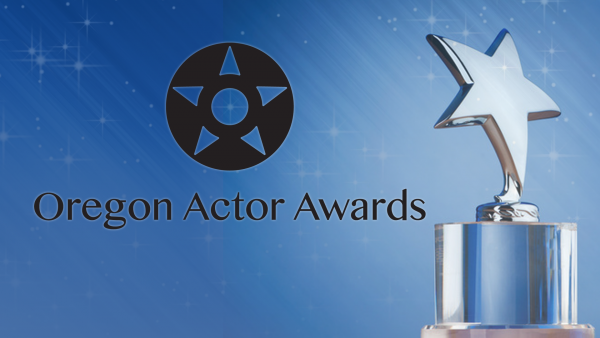 The annual 2015 Oregon Actors Awards took place at the Portland Center Stage, to a packed house over the week end. The awards recognized outstanding members of Oregon’s film, video and multimedia industry. Four awards were given to film, TV and commercial actors, and one for community service. Also at the event were the graduate actors from the Cast Iron Studio’s Class of 2015 Talent Diversity Initiative that took place in Portland over the last two months. (32 local NW actors completed a 6 week intensive training course that was part of the inaugural Talent Diversity Initiative. The program is being produced by Cast Iron Studios, in partnership with Act Now Studio and Scott Rogers Studios, and will be sponsored by TNT. Portland, Oregon – On Monday, members of Oregon’s quickly growing media production industry gathered at Portland Center Stage for the Oregon Actor Awards. Presented by the Oregon Media Production Association, the event honored the best local performances for dramatic and commercial work, as well as giving a community service award to an individual or entity for going above and beyond the call of duty to support, promote, or elevate actors in Oregon. The Oregon Media Production Association is the champion of Oregon’s film, television, and digital storytelling industry. Since 1982, OMPA has encouraged the growth of Oregon’s media production industry by promoting Oregon productions and advocating for our local community in state and local governments.